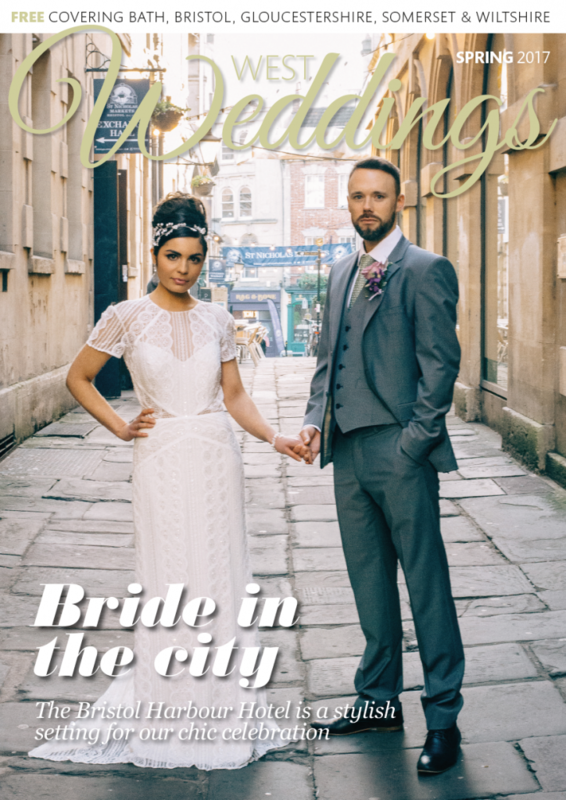 An important wedding tradition that forms part of the reception, wedding speeches are an opportunity to share a touching story of the happy couple and create a great atmosphere. But how do you get it just right? 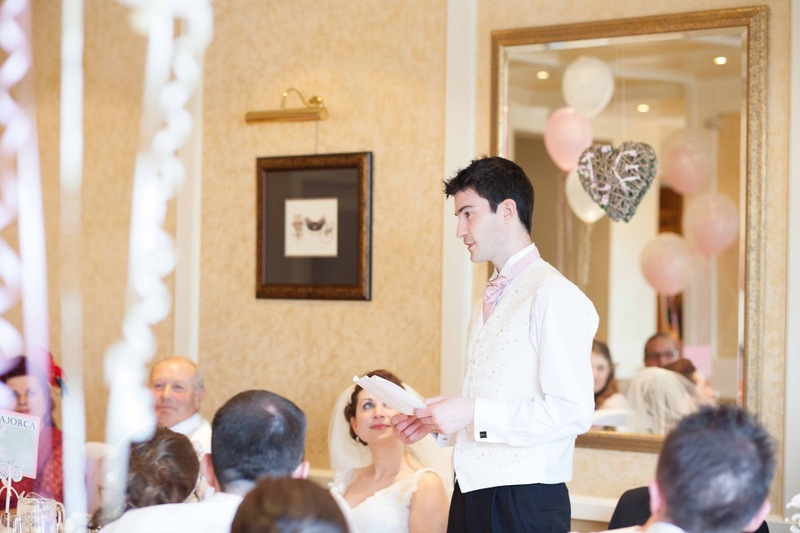 It’s not easy writing an a memorable speech that is lighthearted, fun and touching. Well… we’ve got some very good news for you! 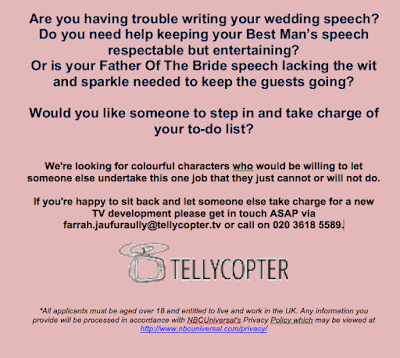 Whether you’re a groom, best man, or even the bride’s father, a new TV programmer from Channel 4 can help with writing your wedding speech. The way this works is very simple and with minimal time commitment. 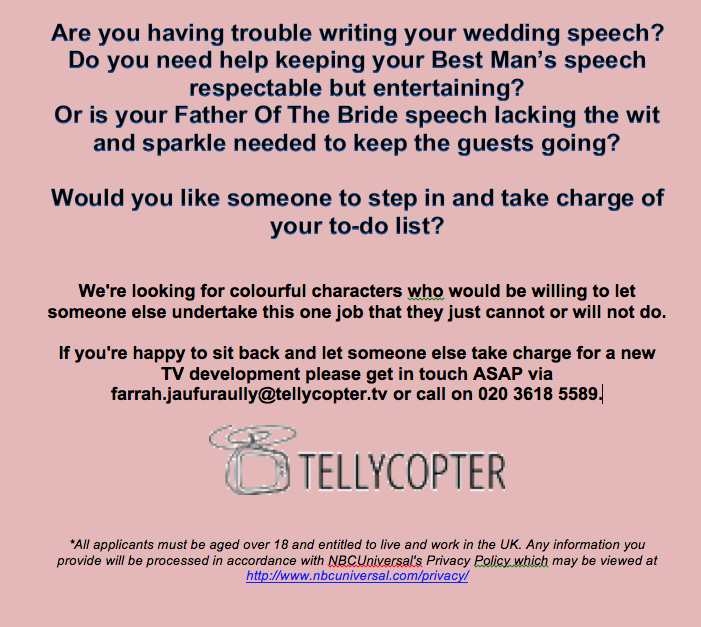 If this sounds like something you’d like to get involved with, contact Farrah Jaufuraully by email farrah.Jaufuraully@tellycopter.tv or phone 0203 618 5589. In the meantime, you can also check out our toasting tips feature and think about the message you want to get across. I went to a wedding here several years ago and fell in love. The place is beautiful and I was so incredibly impressed and charmed with the Chicago wedding venues that when I got engaged, we didn't even shop around. It was this place or bust.